· Bill, how did you get into costumed interpretation? I began acting in high school, and majored in theatre in college, but decided not to pursue a career as an actor. I did continue to perform as a folk singer and guitar player. When I began working at Colonial Williamsburg, my love of acting returned as there were bountiful opportunities to portray historical characters. · Which character do you enjoy playing the most? 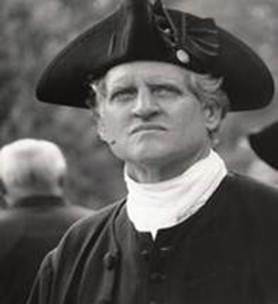 While I have had the good fortune to portray a diverse group of historical figures, the portrayal that has meant the most to me by far is that of Patrick Henry, Virginia’s legendary orator and statesman. Henry’s declaration, “Give me liberty, or give me death,” on March 23, 1775 motivated his countrymen to take up arms and seek independence from Great Britain. That was but one of many epic speeches and seminal events that Henry was a central figure in during the American Revolution, and the formative years of the early republic. He is a delight to portray because he was such a “lightning rod” figure, people tended to love him or hate him. After Patrick Henry, I am most fond of portraying William Clark of the Lewis and Clark Expedition to the Pacific Ocean, 1804-1806. · Do you have a favourite venue to perform at? I have never met a venue I didn’t think was workable, but the best of course are the actual historic sites where the characters operated, the places that they are associated with. For me, nothing matches portraying Patrick Henry in the restored and reconstructed environs of Williamsburg, on the ground where he made history. I feel the same about the opportunities that I had to portray William Clark at the reconstructed site at Fort Clatsop near the mouth of the Columbia River at the Pacific, the expedition’s winter camp at the terminus of their exploration of the American west. · Which event are you most proud of organising? 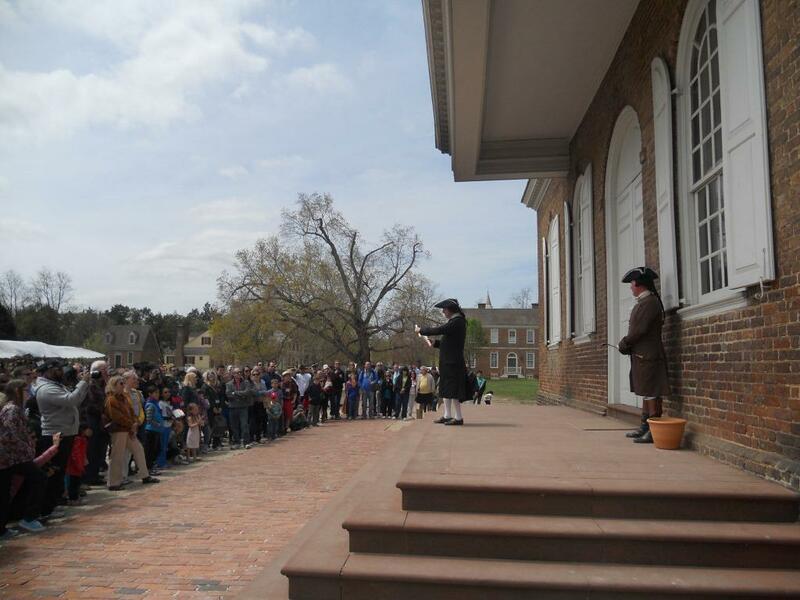 · How important is training and research to costumed interpretation? Research is the bedrock for legitimate costumed interpretation. All historical interpretation must be built on a foundation of well researched documentation. Otherwise it has no validity as an instrument for education and social provocation. There are so many elements necessary to the creation of effective interpretation; research (including language use, deportment, social norms and habits, etc) performing skills, narrative construction, etc. These can only be accomplished through comprehensive training process. · What one last piece of advice would you give to anybody thinking about getting into costumed interpretation? Make an honest assessment of your skill sets and sensibilities to determine how you can best contribute to the field of historical interpretation, and thereby realize the greatest degree of self-realization and fulfillment. Ask yourself if you possess the passion that will motivate you to commit to the research, training, and rigors of daily public engagement that are essential to succeeding as an interpreter.